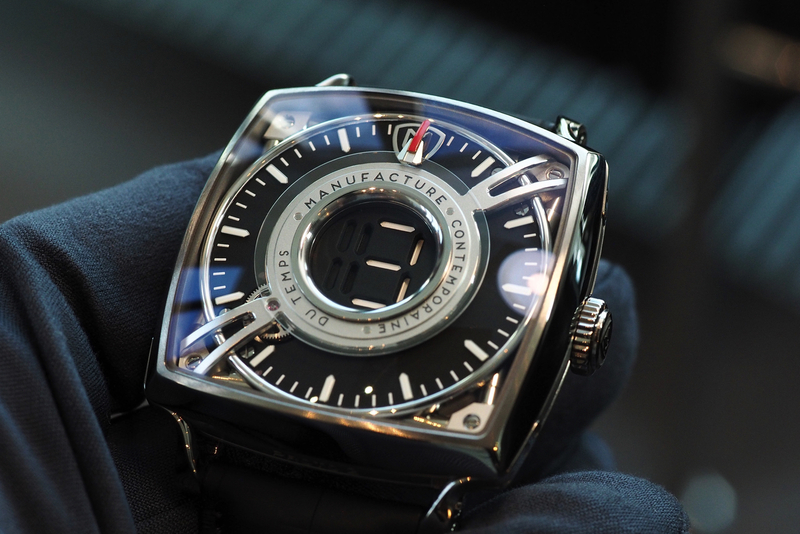 Ahead of Baselworld, MCT has previewed the new version of the Sequential Two, called the S210. We previously covered the Sequential Two S200 here which has the same basic configuration as the S200, but with a new movement, a slightly redesigned dial, and larger 46.4 mm x 15.4 mm case (44.6 mm x 14.5 mm on the original model). 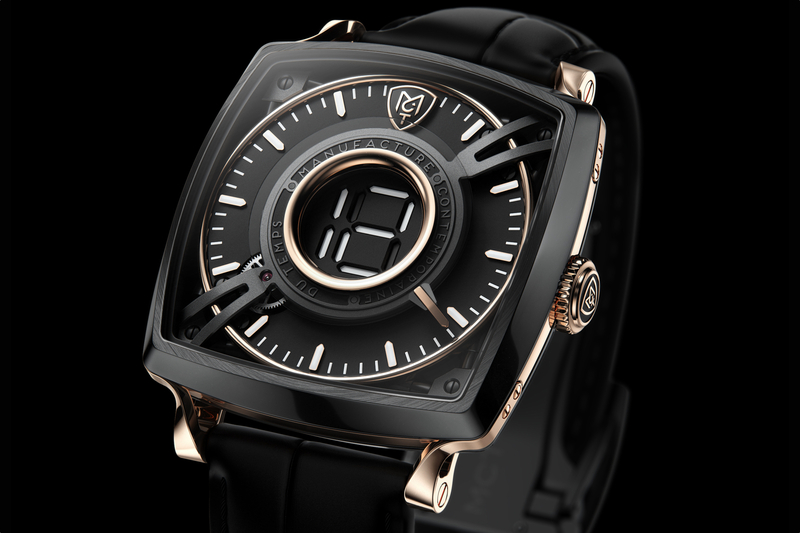 What has stayed the same is MCT’s distinctive display which consists of four modules that represent the hours and central minutes. Basically, there are three numbers in each quadrant of the dial, each composed of five prisms. 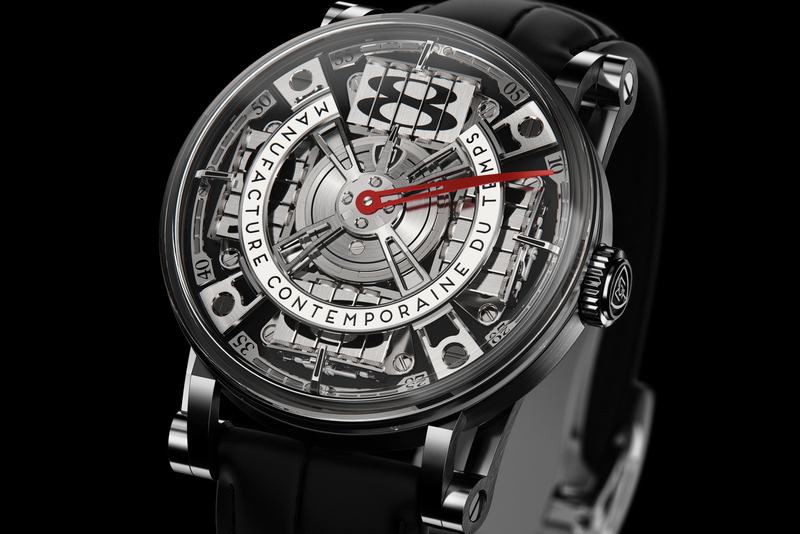 As the minute hand rotates the dial in a clockwise direction, each new hour is shown in the next quadrant, which changes in a counter-clockwise direction, while the semi-circle central ring moves to coincide with the current hour that is shown in the opening. 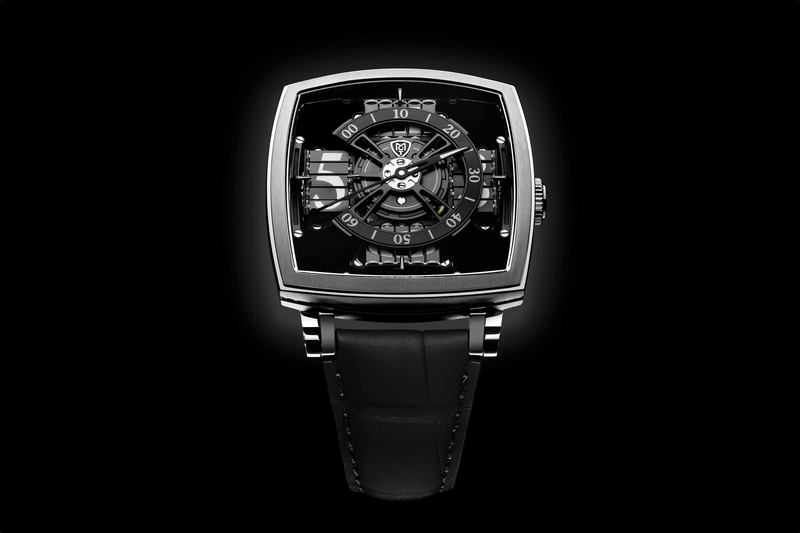 Like is predecessor, the automatic movement beats at 2.5Hz, with a 40-hour power reserve, however, there are now 654 components including 89 jewels, whereas the original model has 507 components including 85 jewels.